These are short demos and discussions which will be repeated multiple times starting and 11 AM and ending at 3 PM. 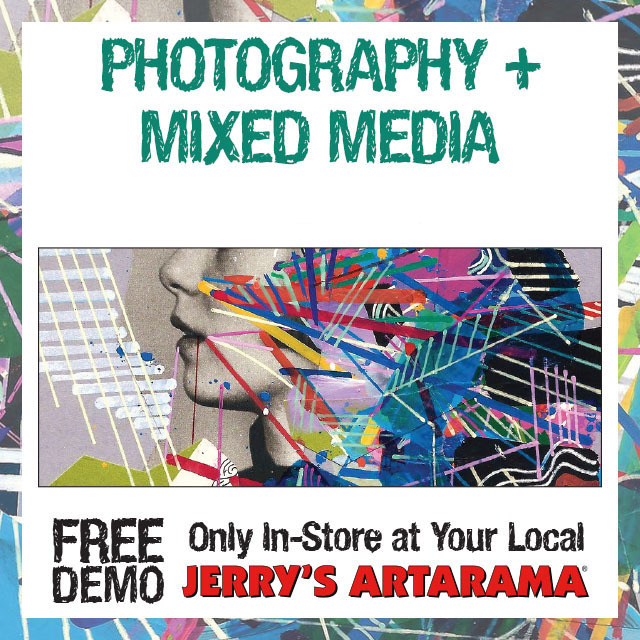 Come in and enjoy a FREE demo using photography in mixed media. Learn how to seal printed images into mixed media work, loosen up with aided content creation, and tips for creating captivating stories for your audience. It’s totally FREE! No sign up required…bring a friend! Coupons for products being demonstrated will be handed out!